Many joys come from family life. It allows us to be in a situation where we can give and receive love, feel fulfillment, and accomplish goals. But that does not mean that it is without its challenges. Having a family and even dealing with life’s daily challenges can be very difficult. Even planned events that people anticipate still bring their share of stress, such as pregnancy or weddings. While unplanned events, like unemployment and death, can be even more stressful. Whatever the cause of these stressful situations, families need to have the means to effectively cope with them. In one of my classes my professor instructed a group of students to stand in a circle and hold hands; and then to remain holding hands throughout. He then went around the circle and moved different individuals to see how the whole group would respond. At one point he pulled a student back, at another time he pushed a student into the middle of the group. Each time everyone in the group reacted and moved to keep the circle together and to keep from falling over, sometimes stepping back other times moving inward so that they could remain intact. This example illustrates how all members of a family are effected by change. One member may be effected by the direct pressure, but all members feels its effects. That is why all family members need to be aware and work together to overcome challenges as they arise. Families need to develop the ability to be resilient. 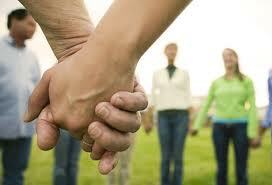 Family resilience is the ability of families to adapt and rebound to stressful situations. This quality is very desirable and allows individuals as well as the whole family to effectively deal with events. While resilience appears to come easier to some, it is a quality that can be developed in all families. It creates a different way of looking at life experiences, and how we view a situation has a large influence in how we respond. One of the most basic models used to demonstrate family stress and coping is Hill’s ABCX model. The idea behind this theory is that the outcome of the experience is not only determined by the event itself but other factors. There are three parts to every trial A- the actual event, B- the family’s resources, and C- the perception or cognitions. All of these added together equals X- or the actual event. Thus A+B+C=X. Some of the resources that families have are flexibility, connectedness, and social and economic support. When families view a trial in these terms it increases their resilience. Families can work on flexibility by allowing change to happen but still creating a stable environment and schedule. Equal partnership in marriage also allows for flexibility. Each spouse can play to their own strengths and still work together. When couples do this their children see them as united and the set rules that come from this unity allow for clarity even within the midst of a crisis. Connectedness is “the emotional and structural bonding among family members.” Not surprisingly when families are close they respond better to crisis because they are aware of each members needs as well as the support of each member. Commitment also plays a role in connectedness, since members who are committed to each other are more likely to work to help one another. Families fare better when they acknowledge and accept the resources that they have. And these resources can come in various ways. They can be community organizations that are able to lend assistance. They might also be social support in a variety of forms; friends and family are the most commonly thought of, but it could also be support groups or religious organization. When families view their trails in terms of resources and outcomes they are more able to more effectively deal with them. This allows them to create shared meaning from the experience and grow closer together as they cope with stressors whether they are planned or unplanned.